The Chart of the Day is Saul Centers (BFS). I found the shopping center REIT by using Barchart to sort today's All Time High list first for the most frequent number of new highs in the last month, then again for technical buy signals of 80% or more. 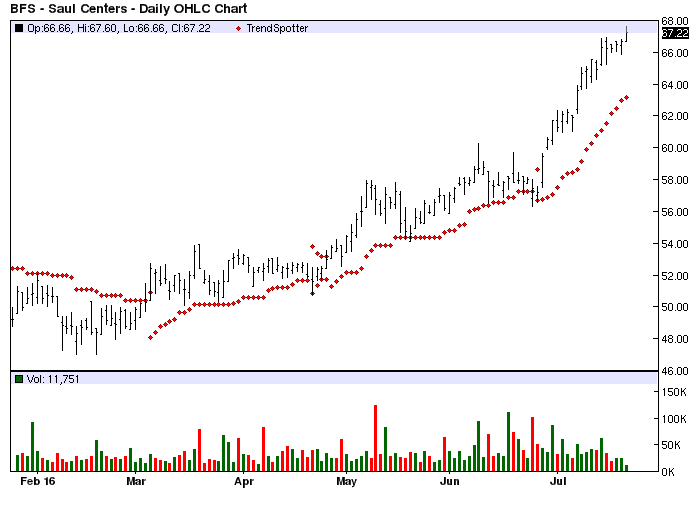 Since the Trend Spotter signaled a buy on 6/28 the stock gained 12.88%. Saul Centers, Inc. is a real estate investment trust which is engaged in the management and development of the shopping center business of the Saul Organization.